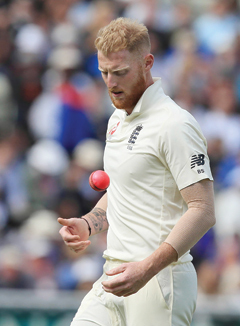 WELLINGTON: Ben Stokes’s arrival in New Zealand on a “private” trip has been viewed with suspicion in neighbouring Australia, where pundits smelled a plot to recall the exiled cricketer to England’s Ashes squad. 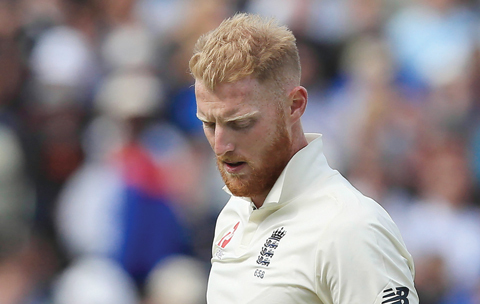 New Zealand-born Stokes was omitted from England’s touring party following his arrest on suspicion of causing actual bodily harm in an incident outside a Bristol nightclub in September. He remains suspended by the England and Wales cricket board (ECB), pending the result of a police investigation. Stokes greeted his parents after touching down at Christchurch airport yesterday but batted away questions from a media throng about his hopes of a quick Ashes recall. He also stayed silent on a possible plan to play for Canterbury after the provincial side revealed on Tuesday it had been in talks with him about a possible short-term deal. “Working on my golf swing,” Stokes quipped, when asked by a reporter about bringing cricket gear with him. “Just looking forward to seeing mum and dad,” he said. “Just catch up with everyone I haven’t seen in a long time.” Australia hold a 1-0 lead in the five-test Ashes after beating England in the opener in Brisbane on Monday.